Lock in a great price for Pension Isabo – rated 8.7 by recent guests! I’ve stayed here before. A large bed and two balconies! All I needed. Breakfast is sparse- but I can go down to a restaurant in the morning and get the best yogurt with fruit for 5€. Very nice and cozy rooms. The host is very kind and responsive. Everything is perfect and worth the money! Our room was comfortable and clean, and the location is excellent. Helpful and cheerful staff. Very glad we stayed here. Property was great, location is ideal! Overall very happy! Very clean property! Also the staff is super helpful! I would there back again for sure! Excellent location, very central Nice clean rooms. the place is very well located, in the center of a very nice historical city. The balcony / terrace has view on the city, while not too much noisy. Location is perfect and they provide snacks and drinks for the guest which is very sweet! I also love the balcony outside out room. 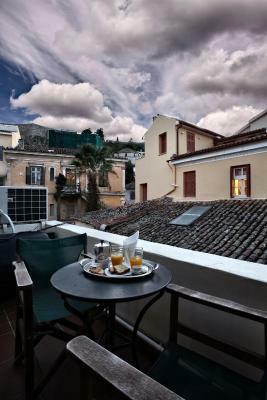 Pension Isabo is a 19th century neoclassical house converted into a modern guesthouse. 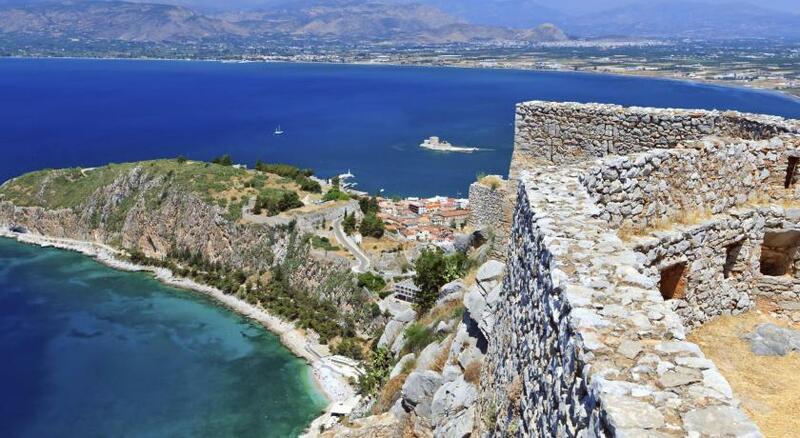 It is located in the historic quarter of Nafplio, under a 10 minute walk from the promenade. 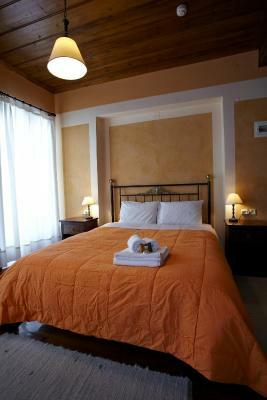 Isabo offers 2 standard and 2 attic air-conditioned rooms equipped with refrigerators, TVs and private bathrooms. Wi-Fi is free of charge. There is a common 24hr kitchenette where guests can prepare their own breakfast and light meals. Coffee / tea and snacks are available free of charge throughout the day. 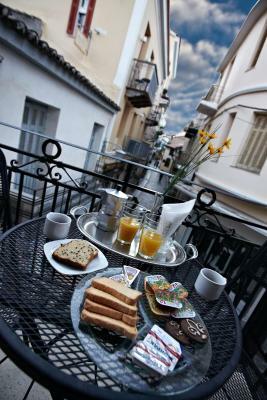 Central Syntagma Square is 500 feet from the hotel and the Archaeological museum just a 15 minute walk away. When would you like to stay at Pension Isabo? 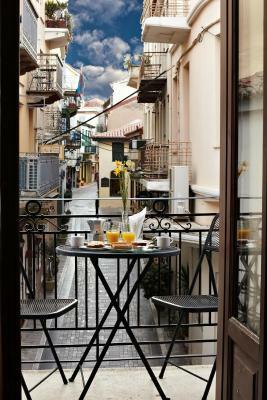 A room with a double bed and two balconies with a view of the city walks. A small double room with a veranda. The room is at the attic of the building. 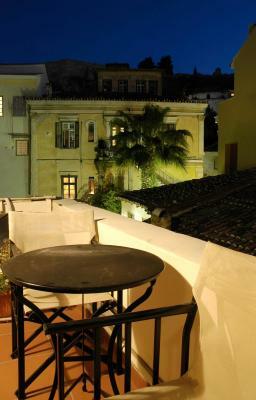 It has a veranda with a view of the city walks and Acronafplia castle. 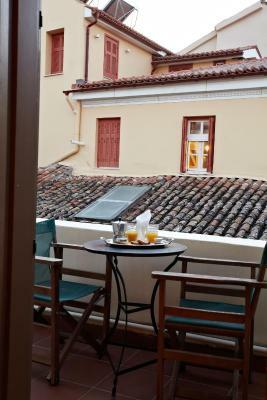 A room with two single beds that can be joined to one and windows with a view of the city walks. 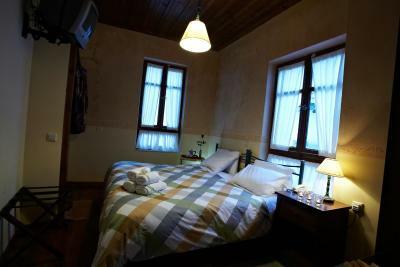 A room with a double bed located at the attic of the building. The room has a view of the city walks. House Rules Pension Isabo takes special requests – add in the next step! Pension Isabo accepts these cards and reserves the right to temporarily hold an amount prior to arrival. Noise at night -but the shutters help deafen that. It’s still a great place! Bathroom door was extremely hard to slide open. A little aged but overall good! 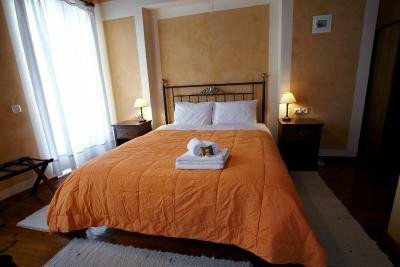 Amazing location in the middle of the action, super cute house and room, very smiley, friendly and helpful host. Free food and drinks at the shared kitchenette. The room is quite small. It's ok for 1 or 2 nights, but for a longer stay at two people this can be annoying. Nice view over the main street and three/four windows room. The room was kind of small but it is to be expected in the centre of the "Old city". Also, this was the only small room, the rest of the rooms are bigger with balconies etc. The location was very neat, inside the historical town center, and quiet too ! Even though there was no designated breakfast room, everything you needed for breakfast was available in the kitchen and you could take this in the room. This was a nice gesture. Bed was really comfortable and the room was clean. Not possible to prepare warm food. We were hoping for a stove and oven in the kitchen to make food for ourselves. A shower cabin is a bit too small, you worry not to break glass while taking shower. 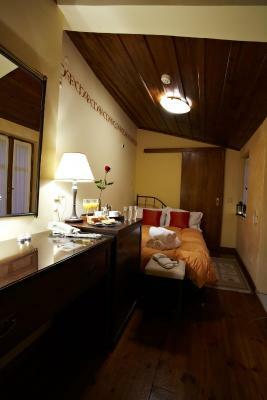 All rates are given 5*, even "comfort" despite small room: still you have everything inside as what you expect, beds, table, chair, wardrobe, mirror, air condition, TV, bathroom/shower/WC, although small. A kitchen on the 1st floor with cups/plates/spoons/forks, tea/coffee/sugar/cream, cookies, friuts, small refrigerator with milk and juice. Steep staircase, that's right, but I had no problem climbing it with my not-so-small luggage. You have your own keys for both street door and your room. Quiet area around, 1-2 minutes walking to old town center, 5 minutes to the rock and castro. Excellent pension in a perfect location.